This is the first article in a series of articles I am posting here at TNP relating to the continued spread of Rick Warren’s poisonous Purpose Driven empire. 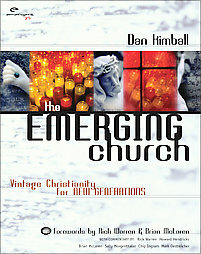 The author, Elliott Nesch of Holy Bible Prophecy, has done extensive research on the emergent and church growth movements, and provides documentary films (Church of Tares, The Real Roots of the Emergent Church), articles and an excellent book on emergent theology called ‘Hath God Said’ all available free of charge at the HBP website. While the Emergent Church movement seems to be a reaction against the large, plastic, church growth phenomenon, both movements have in common a lineage that can be traced back to business management guru Peter Drucker. The genesis of Emergent can be traced back to an organization called Leadership Network. 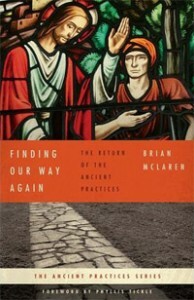 This organization was introduced as a resource to help leaders of innovative postmodern churches to connect. These efforts were aided by Harold Myra and Paul Robbins of Christianity Today. “In the mid-1990′s I was a young church planter trying to establish a church in the city of Seattle when I got a call to speak at my first conference. It was hosted by Leadership Network and focused on the subject of Generation X. . . . Out of that conference a small team was formed to continue conversing about post-modernism. . . .
“By this time Leadership Network hired Doug Pagitt to lead the team and organize the events. 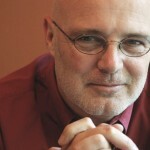 He began growing the team and it soon included Brian McLaren. . . . Pagitt, McLaren, and others such as Chris Seay, Tony Jones, Dan Kimball, and Andrew Jones stayed together and continued speaking and writing together as friends. . . .
“They started realizing that there was a sentence that was being said by church leaders of all denominations across the country, and that was, “You know, we don’t have anybody between 18 and 35.” . . .
Just who was this “individual in Texas” which McLaren spoke of who funded the Leadership Network organization? 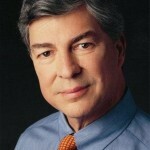 It is a man by the name of Bob Buford, an owner of a successful cable television company in Texas at the time. 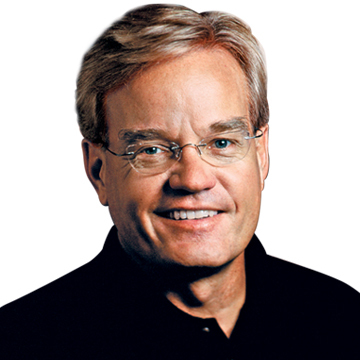 Buford happens to have a lot in common with influential megachurch pastors Rick Warren (Founder and Senior Pastor of Saddleback Church) and Bill Hybels (Founder and Senior Pastor of Willow Creek Community Church). Some haver referred to these three men as the Druckerite trinity for their relationships with business management guru Peter Drucker. 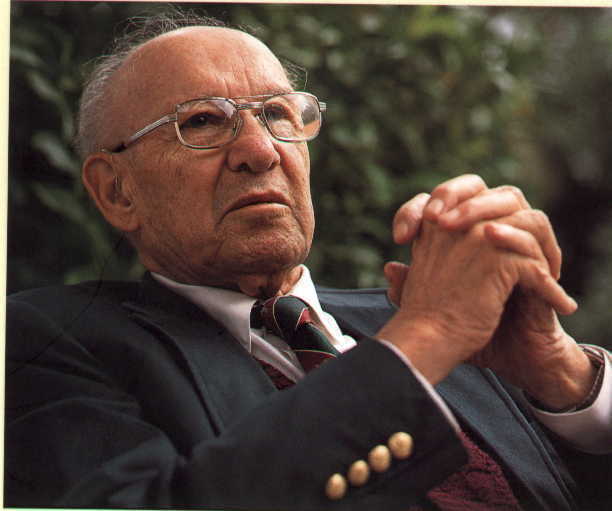 Peter Drucker was born in 1909 in Austria and immigrated to America in 1937. He was a writer, management consultant, and self-described “social ecologist.” Drucker had taught at California’s Claremont Graduate School for more than 30 years, where the Management Center carries on his name. 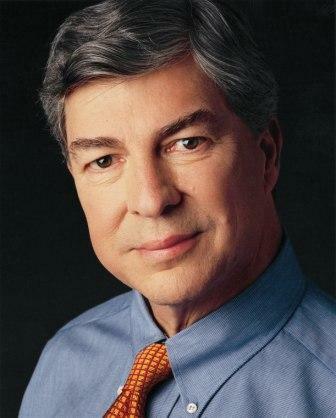 He published over thirty books in addition to articles for the Wall Street Journal, Harvard Business Review, and Forbes.⁴ His books and popular scholarly articles explored how people are organized across the business, government and the nonprofit sectors of society. Drucker’s writings were characterized by a focus on relationships among people rather than number crunching. Before his death in 2005, he rose to a position of great esteem for his contributions to business and management.⁵ In fact, he had a worldwide reputation as “the father of modern management.” When it comes to management theory and practice, Drucker is one of the most widely influential thinkers and writers on the subject. Those leading the organizations of the Emerging Church, the Purpose Driven Network and the Willow Creek Association also happen to be the most influential organizations in evangelical Christianity. 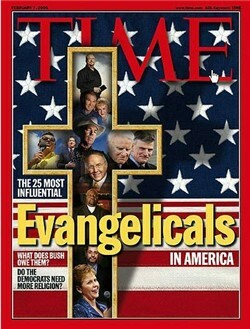 Time magazine named Brian McLaren, the “elder statesman” of the Emerging Church, Bill Hybels, senior pastor at Willow Creek, and Rick Warren, the Purpose Driven pastor of Saddleback Church, as three of the most influential evangelicals in America.⁷ Have these men become so influential within Evangelical Christianity because they are following the commandments of Jesus or because they are following best business management practices of Peter Drucker? It is certainly peculiar that these movements have become so popular and well-received within Christendom when the Lord said to His disciples, “Woe unto you, when all men shall speak well of you! for so did their fathers to the false prophets” (Luke 6:26), and “ye shall be hated of all men for my name’s sake” (Luke 21:17). How have these organizations become so prominent when “narrow is the way, which leadeth unto life, and few there be that find it” (Matthew 7:14)? Though the organizations of Leadership Network, the Purpose Driven Network and the Willow Creek Association are uniquely divided, they are intimately connected to one another. These three organizations are businesses that sell products to the target market of church leaders and pastors (based on Peter Drucker’s business and management ideas). All of these organizations have designed products that appeal to their consumers (be it baby boomers or Generation X). It is no coincidence that these three successful and influential men in Christendom were all mentored by the late business management guru Peter Drucker. “In 1997, Atlantic Monthly magazine editor Jack Beatty interviewed Buford for two hours for a book titled, The World According to Peter Drucker. The entire volume contained only six words from Buford: ‘He’s the brains, I’m the legs’ . . . Even Warren himself speaks of his Purpose Driven paradigm as a particular brand of product. The Purpose Driven franchise like any other successful business franchise such as McDonalds which enables ordinary people to replicate the substantial results of the new product and share the success of the innovator. Like any other business marketing model, Warren’s Purpose Driven business church model is a brand name much like the brand names that come from Leadership Network or Willow Creek. Borrowing Warren’s example, the Druckerites Bob Buford, Bill Hybels and Rick Warren are like the franchises Burger King, Wendy’s and McDonalds. Just as all of those fast-food restaurants sell hamburgers, so the Druckerites all sell knowledge-based products to build churches. Though the different brands of hamburgers taste different and come with different toppings, they are all hamburgers. In the same way, the Druckerites brand may vary, whether it be Leaderhip Network, Willow Creek or Purpose Driven, but they are all essentially the same in their implementation of best business practices for building the local church. While these organizations have been built upon cutting edge business marketing and being relevant, whether it be to the unchurched or Gen X or baby boomers, no words can be more cutting in relevance and shaking to the core of these organizations than those of the Apostle Paul who said, “For do I now persuade men, or God? or do I seek to please men? for if I yet pleased men, I should not be the servant of Christ” (Galatians 1:10). “Let me talk specifically about what I think is most important—the Emerging Church’s preoccupation with postmodernism. Postmodernism has never created anything. It is only destructive. It deconstructs. It cannot build anything, and so it will be dead in a matter of years. It cannot last. It is a fad. But it is so like the church to jump on the bandwagon just as everyone is jumping off. Postmodernism is just a little, dinky, tiny sliver of young to middle-age, college-educated, affluent white people in America. . . . 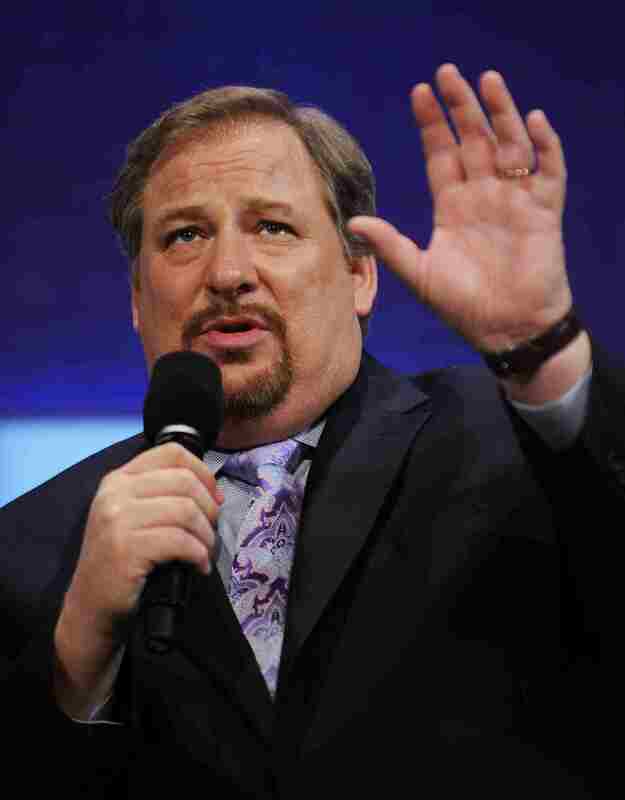 Though the influential Purpose Driven Pastor Rick Warren has distanced himself from the Emergent Church, he has been blatantly and unashamedly supporting the Emerging Church for years. On the one hand, Warren criticizes Emergent postmodernity for being incompatible with Christianity, but on the other hand he endorses the Emergent Church again and again. Why? The only reason a supposedly conservative evangelical pastor like Rick Warren would associate himself with postmodern liberal Emergents like Brian McLaren, Dan Kimball, Doug Pagitt, and Tony Jones is because Rick Warren is a disciple of Peter Drucker and the Emergent Church is a product developed by Druckerites. Warren’s Ministry Toolbox on his website Pastors.com features other articles favorably presenting the Emergent Church movement and its leaders such as Brian McLaren, Doug Pagitt and Tony Jones.³³ One featured article is called “Emerging Worship: Moving beyond only preaching and singing” by Emergent Church leader Dan Kimball. Willow Creek has repeatedly endorsed and yoked themselves with Emergents. 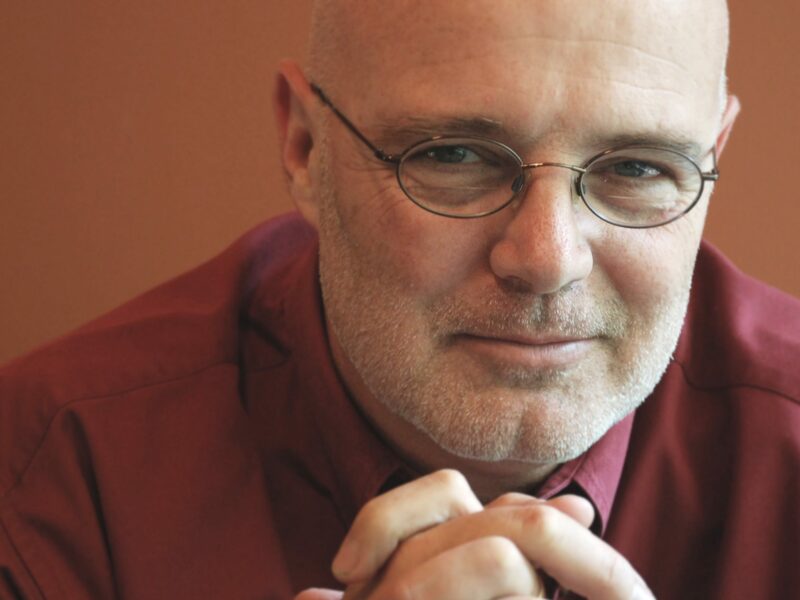 In 2005, session three of the Willow Creek small groups conference was hosted by Brian McLaren.³⁵ In 2008, McLaren was invited back to Willow Creek to speak to youth ministers. McLaren told these young ministers that the emphasis Christians place on the doctrines of hell and the second coming of Jesus inhibits their ministry.³⁶ In the Willow Creek Association’s postmodern ministry resources, several books are recommended by Emergent authors including Brian McLaren and Leonard Sweet. Buford’s Warren-endorsed book was dedicated to business management guru Peter Drucker, Warren’s mentor and Buford’s mind. Through Leadership Network and business management principles of Peter Drucker, the Purpose Driven Community, the Willow Creek Association and the Emergent Church are working overtime together in order to market their new Christianity to the church of Jesus Christ. Inevitably, the leadership of the Emergent Church, Purpose Driven and Willow Creek organizations have made the highest compromise of the Gospel in seeking to serve two masters. Jesus said, “No servant can serve two masters: for either he will hate the one, and love the other; or else he will hold to the one, and despise the other” (Luke 16:13). Their pragmatism in catering to culture and pleasing of men rather than God can be demonstrated in several areas. Perhaps the most egregious abuses of their voices as Christian leaders has been in their endorsement of a Muslim document entitled A Common Word between Us and You. Both the letter and the Christian response refer to Muhammad as the “Prophet Muhammad” suggesting that he and Jesus both are prophets. However, according to the biblical standard, Muhammad has been proven to be a false prophet. And Jesus was not merely a prophet; He was the Son of God. Islam blasphemously teaches that the Messianic prophecy from Moses in Deuteronomy 18:15 that “God will raise up unto thee a Prophet” refers to Muhammad. How in the world could a Christian response be written and signed that doesn’t even address these false teachings from the pit of the abyss? Though Christians may be in agreement with Muslims about finding common ground in not desiring strife, violence and war, it is on the basis of the Person of Jesus Christ that Christians do not kill. It is dishonest of the Christian response to selectively quote 1 John 4:10, “We love because he [God] first loved us” while excluding the second portion of the same verse which describes how God showed His love to the world in giving His Son Jesus Christ: “[God] sent his Son to be the propitiation for our sins.” The love of God is uniquely expressed in Christ dying for our sins upon the cross and rising again which Islam rejects. The Bible is clear in that, “Whosoever denieth the Son, the same hath not the Father: (but) he that acknowledgeth the Son hath the Father also” (1 John 2:23). Muslims reject Jesus as the crucified and risen Son of God Savior of the world; therefore Muslims are rejecting God. Christians and Muslims do not stand together on a common ground or understanding of God or the love of God. “He that hath the Son hath life; and he that hath not the Son of God hath not life” (1 John 5:12). According to the Bible, Islam is a lie and antichrist: “Who is a liar but he that denieth that Jesus is the Christ? He is antichrist, that denieth the Father and the Son” (1 John 2:22). Such statements and endorsement of the Islamic religion is rank heresy. Implementing Drucker’s secular business practices in the church will inevitably lead to destruction because the church is “built upon the foundation of the apostles and prophets, Jesus Christ himself being the chief corner stone” (Ephesians 2:20). Drucker’s business practices have acted like steroids being injected into the body causing unnatural monster growth from which the consequences will be severe and fatal. Beware of false prophets, which come to you in sheep’s clothing, but inwardly they are ravening wolves. Ye shall know them by their fruits. Do men gather grapes of thorns, or figs of thistles? Even so every good tree bringeth forth good fruit; but a corrupt tree bringeth forth evil fruit. A good tree cannot bring forth evil fruit, neither can a corrupt tree bring forth good fruit. Every tree that bringeth not forth good fruit is hewn down, and cast into the fire. Wherefore by their fruits ye shall know them (Matthew 7:15-20).